Launched under the capsule “Privé” series — where select iconic silhouettes receive a special makeover — Cartier will reinvigorate the unique Tonneau shape that Cartier first used over a century ago. 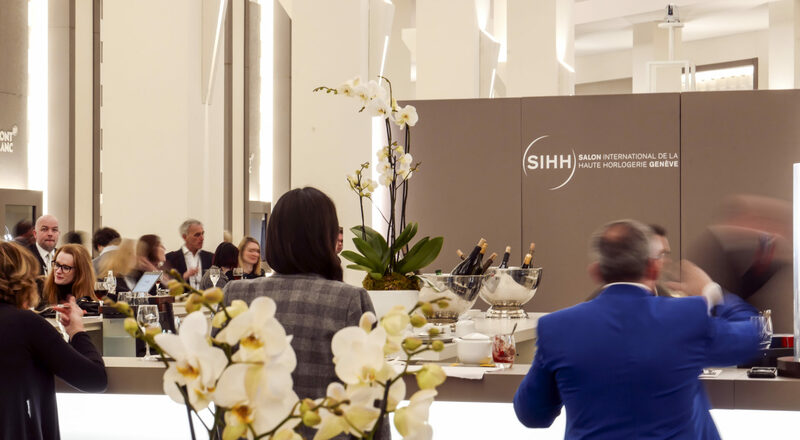 Next year, the neither square nor round case will be launched with two Tonneau Large models, one in platinum with a silvered dial and another in rose gold with a champagne dial. The latter will be limited to 100 pieces, complete with a ruby cabochon in the crown. At 46.1mm tall and 26.2mm wide, the Tonneau sits long and thin on the wrist, with applied Roman numeral indexes and an ergonomic curved profile. All in all, expect a collectible that balances contemporary cues with vintage-inspired screw-equipped lugs. Marrying the minimalist architecture of the PAM 1389 dive watch with a titanium case and movement of the PAM 615 Flyback Chronograph, the new Panerai reference is a tribute to French freediving champion Guillaume Nery. Two new elements — the mottled “shark grey” dial with a matte blue ceramic bezel — stand out here, which when paired with the school of fish etched at the back makes for a very obvious ovation of Nery’s many underwater achievements. Inside the movement of choice is water resistant to 300m, with a flyback chronograph function and three days of power reserve. A running seconds counter at nine o’clock zero-resets when the crown is pulled out, which makes for a neat party trick. While the flyback complication doesn’t exactly add value to a dive watch, it can be used for racing applications whenever the need arises. 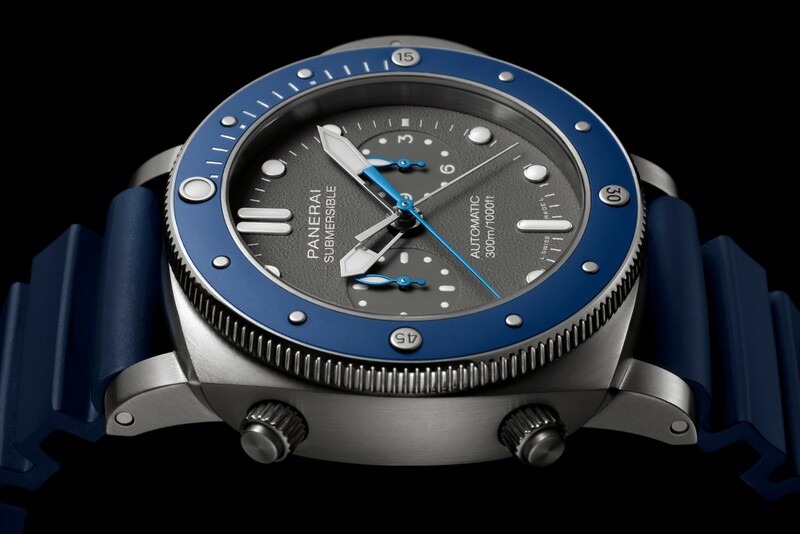 Still, the watch stays true to Panerai’s DNA of being highly legible with utilitarian aesthetics. 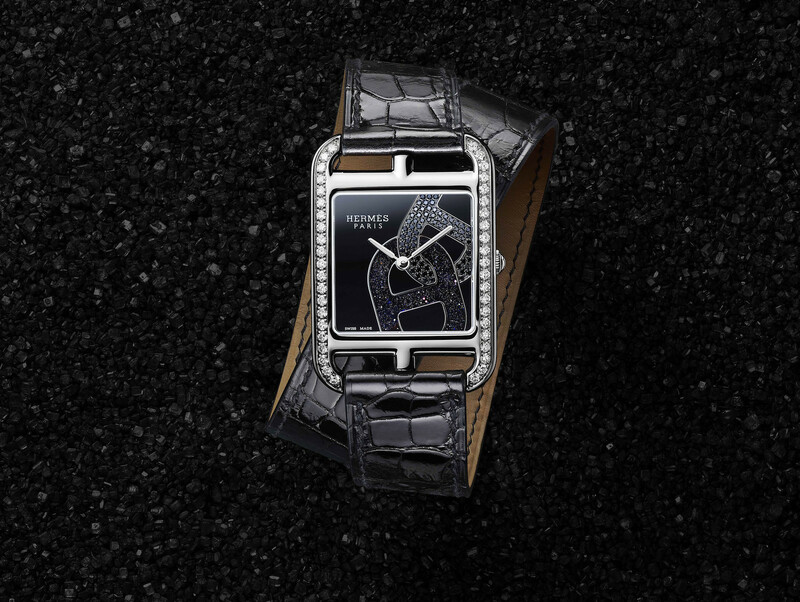 When designer Henri d’Origny was asked to design a square women’s watch, he was determined to think outside the box, a risk that gave birth to one of Hermès’ most distinctive creations ever. Here, the same geometric treatment is applied; inside a rectangle with rounded edges lies a square dial, only this time playfully reimagined with an “anchor chain” motif imagined by Robert Dumas. Set against a black or white lacquered background is an interweave of black spinels and aventurine or diamonds and white mother-of-pearl. The logo is offset from the centre in an unusual twist in aesthetic codes, and matched with slender hands and a gem-set bezel. 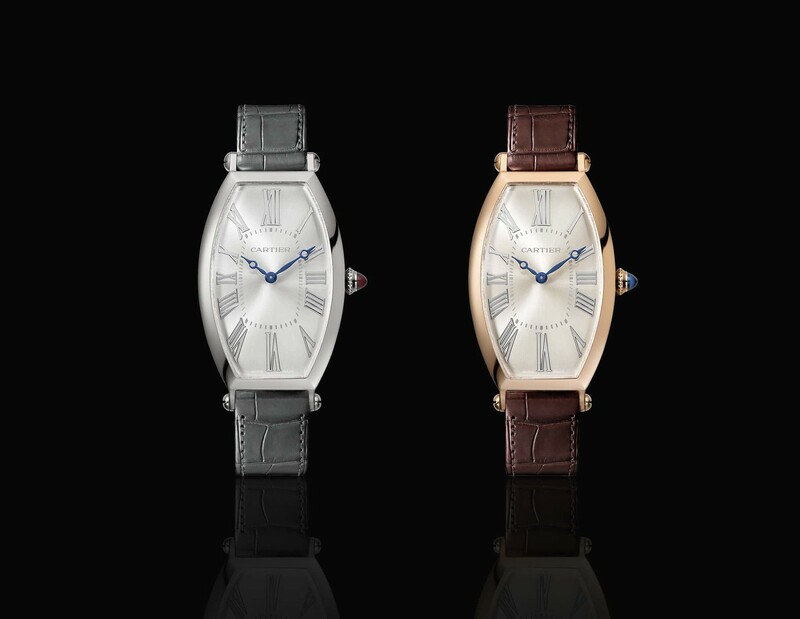 In true Hermès style, the watches come in either an edgy single or sophisticated double tour alligator strap. Montblanc has always been well-known for its ability to really put together a gentleman’s outfit — think fountain pens, cufflinks, and the works. Next year, the Minerva-based brand will put its dress watches back on track by offering a reworked series of the Star Legacy line. Inspired by the history of Minerva, its movement maker, the Star Legacy series will put forth five watches that offers a new perspective on Montblanc’s image. Of the lot, the Montblanc Star Legacy Full Calendar caught our eye for being effortlessly handsome despite packing a lot of features within. The dial sees a moon phase, apertures for the day and month, a guilloche inner-dial, and a pointer date which are all highly legible. 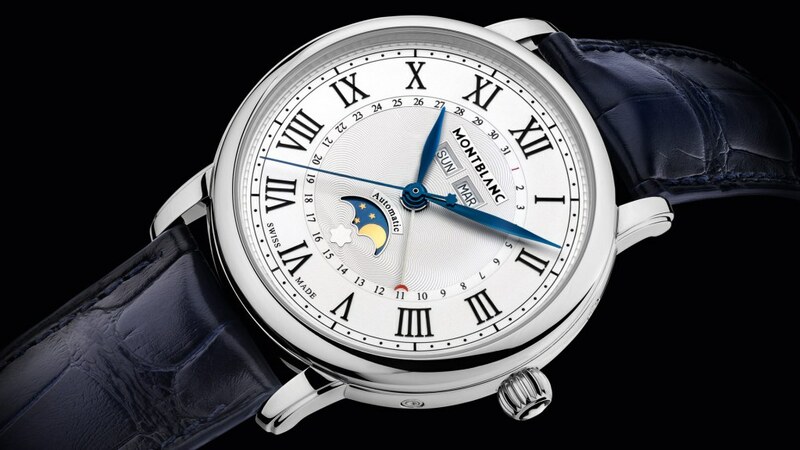 Roman numerals replace the usual Arabic ones for a more evergreen look, as does its blue colour scheme throughout. At a sizeable 42mm, the polished stainless steel watch will sit in comfortably at most formal occasions. There is perhaps no plane as iconic as the Spitfire, and next year, IWC will pay homage to one of the most sophisticated developments in the history of aviation with the Pilot’s Watch Timezoner Spitfire Edition “The Longest Flight”. 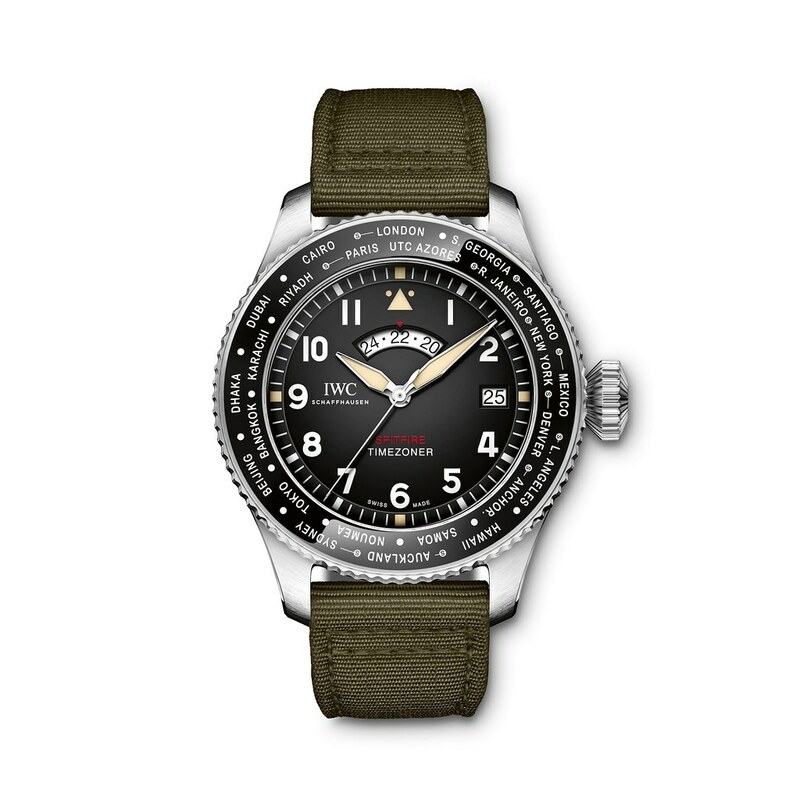 As its rather lengthy name suggests, the watch is a special edition of 250 pieces that’s inspired by a project which will take two pilots around the world in a Spitfire. In creating a watch that was equally inspiring, IWC combined the patented Timezoner mechanism with an entirely automatic IWC-manufactured movement for the first time ever, making this timepiece exceptionally unique. Expectedly, the watch is brimming with Spitfire references. The colour scheme — black dial with a stainless steel case and green textile strap — harkens to its cockpit. Like a true pilot’s watch, it can be set to a different time zone by simply rotating the bezel, which simultaneously rotates the hour hand, 24-hour display and date. Inside, a new IWC calibre features components made from ceramic that’s wear-resistant and a healthy 60 hours of power reserve.